Internet auctions (including eBay, which is of course the best known Internet auction web site) are a popular way to buy and sell items online. Many people think of auctions as principally being about selling collectables or used items, and while it is true many items of these types are sold at auction web sites, many other items are sold to, including new items (for example sold by retailers who wish to use auctions as an additional sales channel, or who simply have surplus stock which they which to sell off). For sellers, auctions can represent a wonderful opportunity to reach new customers and prospects, and sell items that might otherwise be hard or even impossible to sell. For buyers, auctions can provide a chance to obtain items that they could not otherwise find, and perhaps locate some bargains. Although leading auction web sites such as eBay do include many powerful features and tools that allow buyers and sellers to get the most out of their web site, there will of course alway be people who want more. Internet auction tools are designed to fulfill this need. Tutorials about Internet auctions and auction web sites. These include tutorials aimed at auction shoppers as well as auction sellers. In particular, there are many tutorials that are focus on how to run auction-based businesses, and are aimed at "professional" eBay sellers (whether self-employed or working for somebody else). Tools to help sell through auctions. For example, these may include software that analyzes searches done on eBay (hopefully to help find products to sell), and tools that assist business person in keep track of their auction sales and costs (which might be particularly helpful for business people who are running a large number of auctions at the same time). Want to learn more about Automatic eBay Powerseller? Want to learn more about eBay Fortune? 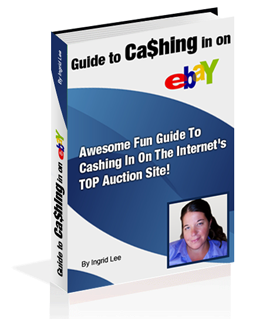 Want to learn more about Guide to Ca$hing in on eBay? Want to learn more about ProfitCalc? 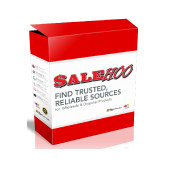 Want to learn more about Silent Sales Machine Hiding on eBay? If you would like say something about any of these auctions products, please leave a comment either on this page, or on the individual product's review page. Articles and information about eBay and other Internet auctions sites. How to buy, sell or shop at Internet auctions.